Gah! My life and my knitting have gotten totally out of control. I realize I never even finished my Sock Summit recapping and when I went to take some more photos I realized I never photographed things I brought home from camp! In addition to that I've lost my mind and am knitting on a bazillion projects at once right now. Or so it feels. I keep trying to remind myself of that FLYlady slogan , "You are not behind – you are just getting started." Am I ever! 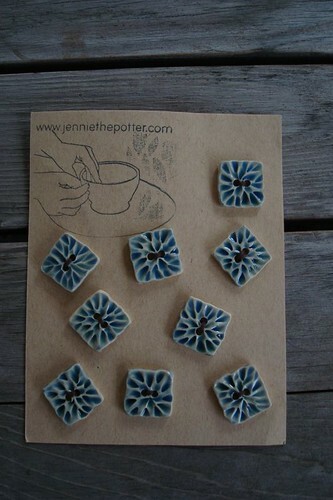 Buttons from Jennie the Potter. They match my Miss Babs Sport perfectly! Kimmet Croft Fairy Hare purchased at camp. It's 40% angora. Can you see the dreamy fuzziness? 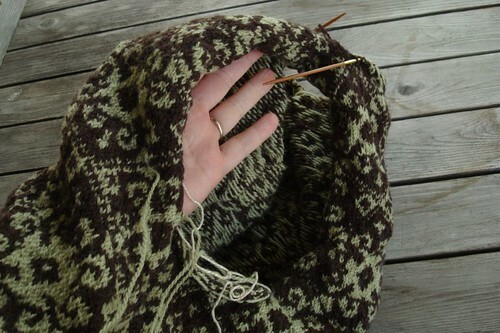 I think this might become a Featherweight Cardigan. 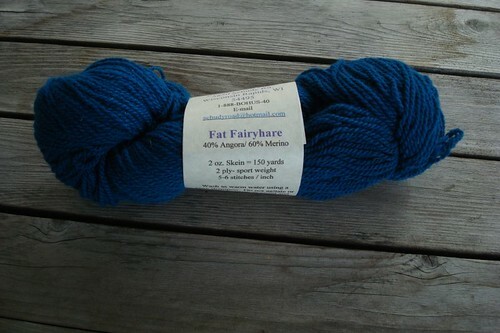 There was a free skein of Fat Fairy Hare with purchase! Sensing a color trend yet? 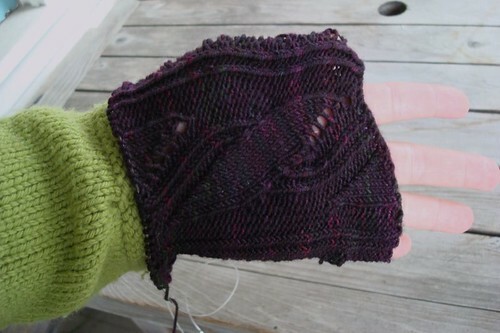 Did I mention that I finally steeked one sleeve for the GLMC while at camp? Sadly, it hasn't been touched since. I knit this one baby hat on the way to camp. I started a second on my way home and--this part is going to start sounding familiar--I haven't touched it since. 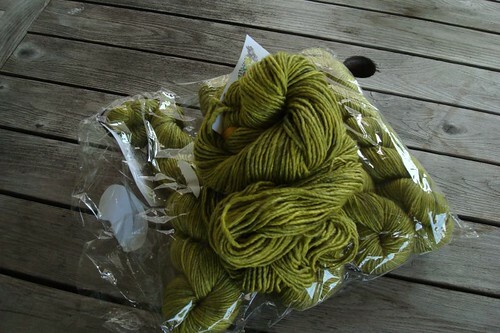 I've been knitting a lot on Coraline. 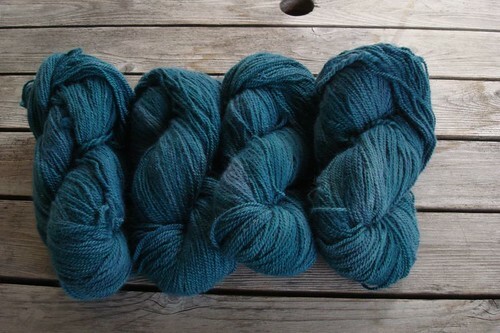 The Cascade Pure Alpaca is dreammmmmy. But the sleeves on my sweater are giving me fits. The first go had to be ripped because it was crazy-huge. My gauge on double-points was so loose and floppy. 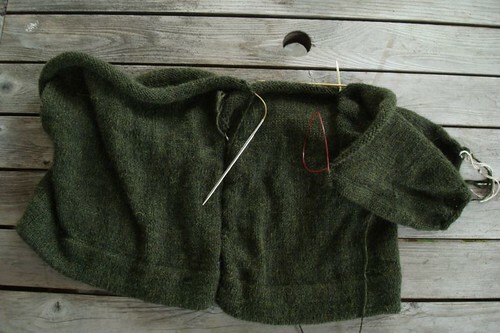 I ripped it out and switched to magic loop on a smaller size needle and the sleeves still seem kind of huge to me. Do I rip again? I'm thinking maybe I'll cut off the bottom of the sleeve and work it into a slimmer fit. And did you see Damson? Ysolda is releasing Whimsical Little Knits 2 one pattern at a time. 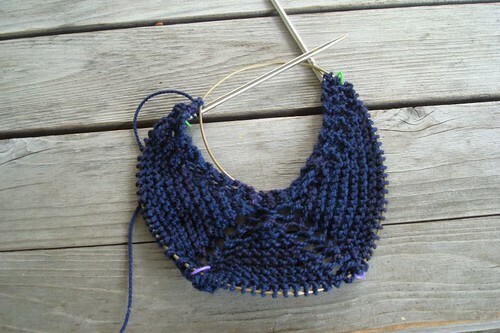 The first is a dainty little shawl. 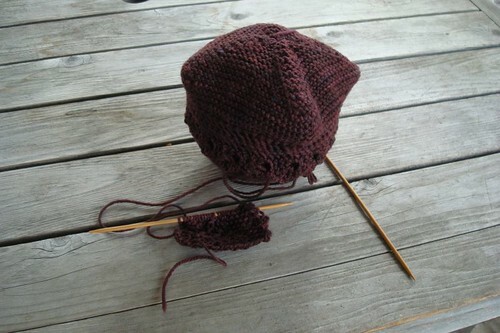 I couldn't resist and cast on immediately with some sock yarn I got from Butternut Woolens a year or so ago at Madrona. 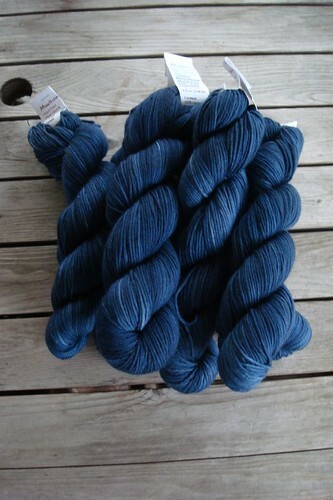 It's indigo-dyed and gorgeous. It also bleeds like you wouldn't believe and turns my hands completely blue! One last thing, since I have a photo. This is my sample swatch from my sock design class at Sock Summit. The yarn is Socks That Rock in a Rare Gems colorway. I was having a very difficult time finding a stitch that worked with this yarn. Lace didn't show, texture didn't show. Then I found this pattern in a stitch guide shown to me by Ellen and it was perfect! I better go get some knitting done.